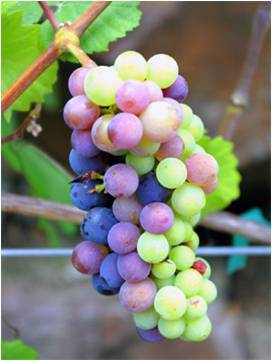 The beginning of the grape ripening process is referred to as veraison and in the northern hemisphere, it happens in the summer. The term comes from the French véraison and it is the time in the vine cycle when the vine’s energies are shifted from growing the berries in size to developing their sweetness and ripe fruit flavor. Before this process, the grapes’ color is dictated by cholorphyll. Depending on the variety, anthocyanins will make some berries red-black and carotenoids will make others yellow-green. 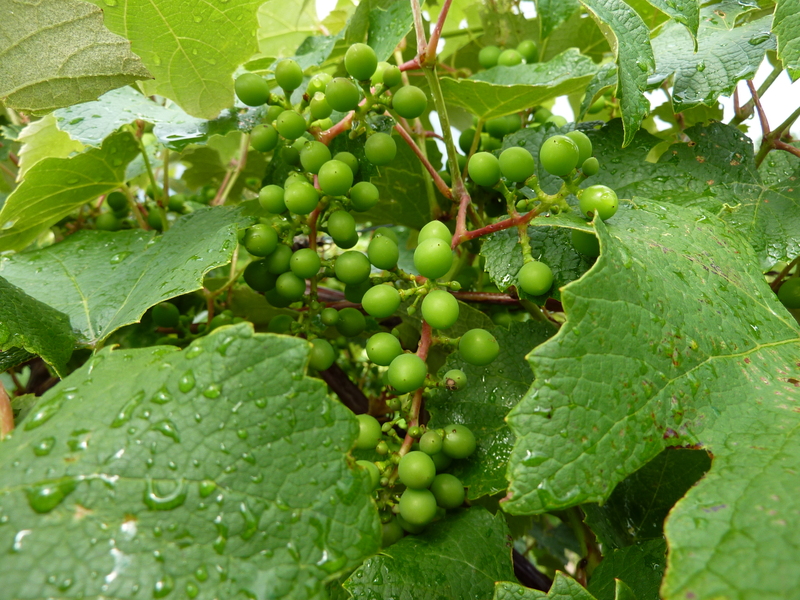 Prior to this period of time, the grapes are referred to as green berries and wouldn’t be recognizable to most folks. They’re hard, starchy, acidic and about half of their final size. Most people wait to harvest their grapes until they are fully ripe. I came across a video, however, that shows how harvesting some of the grapes early can naturally promote acidity in wine (as opposed to adding tartaric acid later on in the winemaking process). The clip features my friends Tracey and Jared of A Donkey and Goat Winery, based in Berkeley, CA.